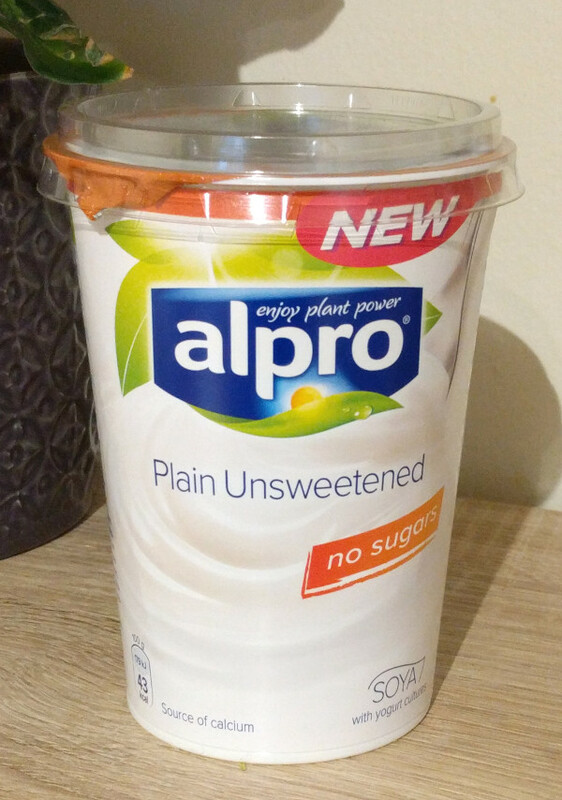 Here’s another product from Alpro - a new zero sugar, soy-based plain yogurt. I discovered this quite by chance as my usual favourite Onken set natural yogurt was out of stock. I really wanted a plain yogurt and but also one which was relatively low in calories. I knew Alpro’s plain yogurt had just 50 cals per 100ml so decided to get a pot of that. 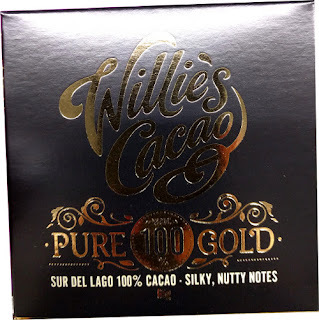 However, there was this new variety with absolutely no sugar and only 43 calories per 100ml. This yogurt is an option for anyone who’s on a dairy free diet and also looking to cut down on carbs and sugar. 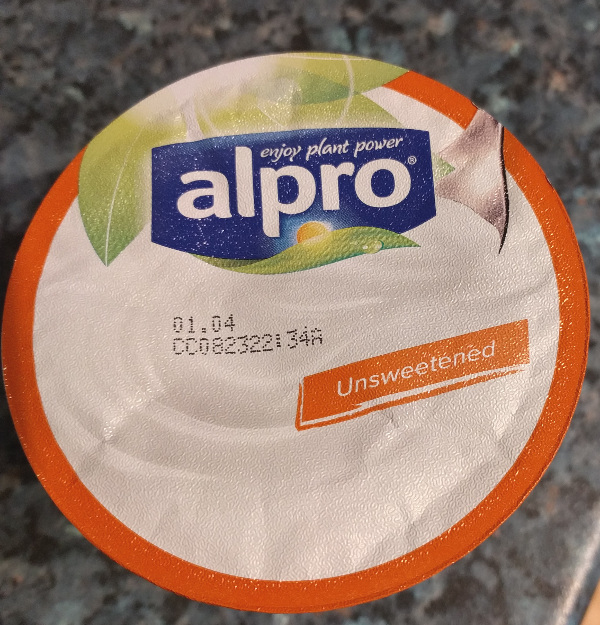 Alpro’s Plain Unsweetened has zero sugar and zero carbs. It’s also low in fat and saturated fat, all of which contributes to its overall low calories. I‘m not crazy about the taste of soy yogurt, but when it’s mixed with fruit it’s perfectly fine. 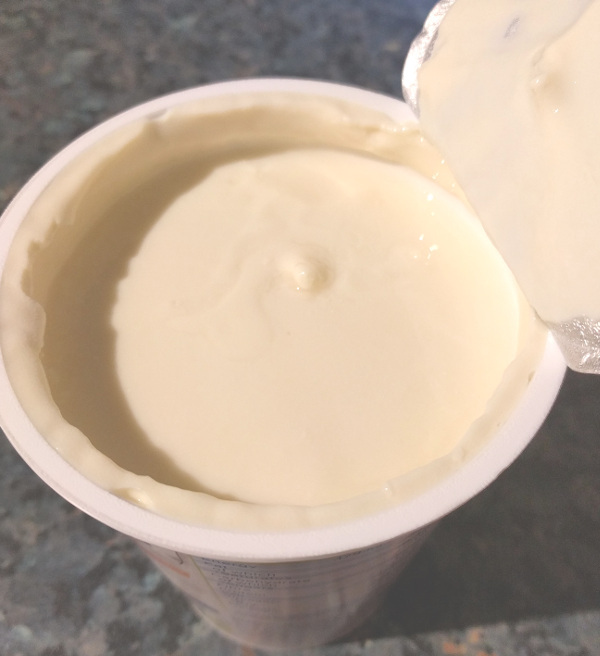 Opening up the lid on this pot of yogurt reveals an off white, almost vanilla colour yogurt. It smells just like the Alpro Simply Plain and in fact, tastes the same as far as I can tell. It’s a very mild tasting yogurt and incredibly creamy, with an almost silky like texture. That alone is almost enough to make me want to consume the lot. Even with absolutely no sugar, it is not in the slightest bit sour. I’d happily buy this again as I do eat a lot of yogurt. Because the calories are so low, I can eat more of this without worrying about gaining weight! 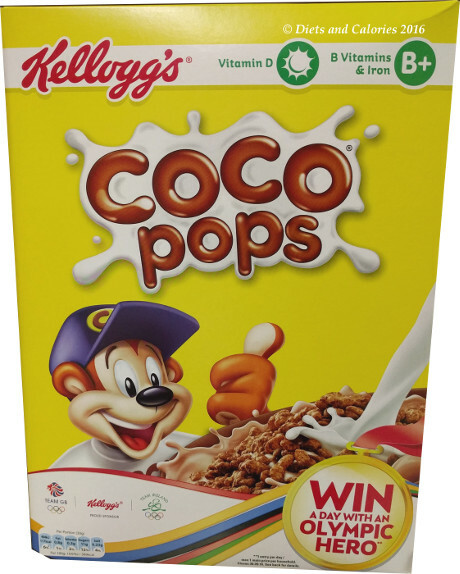 Compared with the Simply Plain variety which is sweetened with sugar, the plain Unsweetened has the same salt, fat and saturated fat values, and same fibre. The Sweetened version is still low in sugar with just 2.1g per 100ml. The other difference is the ingredients, whereby the Unsweetened contains 10.8% hulled soya beans and the Sweetened versions has only 7.9% soya beans. Both are fortified with Vitamins B12 and D2. You can find the new Alpro Plain Unsweetend yogurt in supermarkets which sell Alpro yogurt. 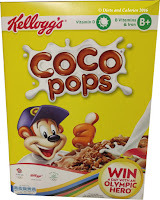 Nutrition per 100ml: 43 Calories, 2.3g fat, 0.4g saturated fat, 0g carbs, 0g sugars, 1.0g fibre, 4g protein, 0.25g salt. Ingredients: Water, Hulled Soya Beans (10.8%), Calcium (Tri-Calciumcitrate), Stabiliser (Pectins), Acidity Regulators (Sodium Citrate, Citric Acid), Natural Flavouring, Sea Salt, Antioxidants (Tocopherol-Rich Extract, Fatty Acid Esters of Ascorbic Acid), Vitamins (B12, D2), Yogurt Cultures (S. Thermophilus, L. Bulgaricus). Saw this whilst browsing the internet the other day. Can't wait to try it. Sainsbury's and Asda both well it and Asda near me haven't stocked their own plain, almond and coconut flavours yet for some reason but I think between the three possible shops nearby, one of them is bound to have it. Can't get over the amount of salt in it though! I have a hard time finding new products too, especially as I've mainly got the smaller branches near me. I think out of town supermarkets have a much bigger range of stock so I'm probably missing out on all sorts of new products!